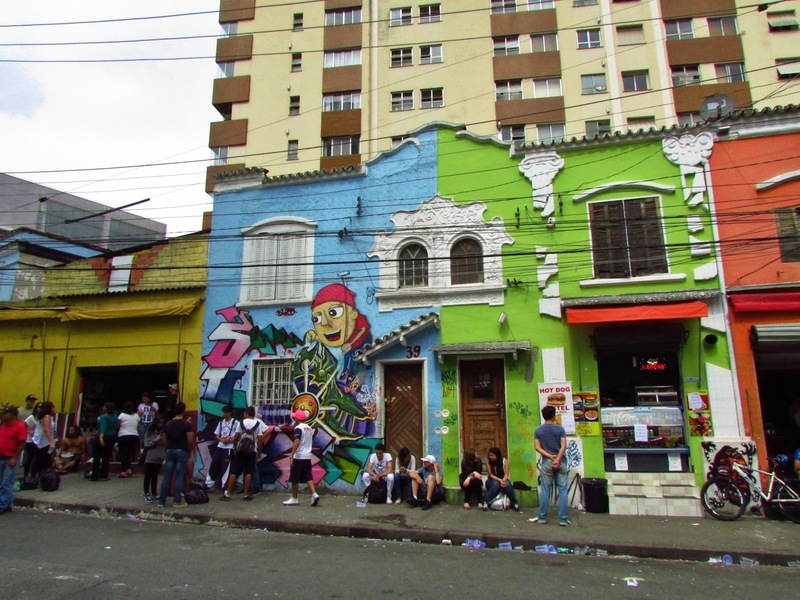 I had been warned about Sao Paulo by countless people that I had met in the previous weeks who had visited the city, but also by natives that came from Sao Paulo. Don’t go there, it’s boring, it’s dirty, it’s full of cars, it’s for businesspeople, there’s no beach, there’s only museums… blablabla. Things Flemish would also say about Brussels. I don’t know if I would have gone had it not been for Luisa living there, but I couldn’t just visit Brazil without stopping by an old friend now could I? I was very fortunate that Luisa lived right in the centre, walking distance from many things, but also right next to a metro station. In metros I could easily navigate and they were a true blessing, especially considering how incredibly chaotic Sao Paulo is when it comes to transportation. When people told me it’s full of cars, they really weren’t kidding. 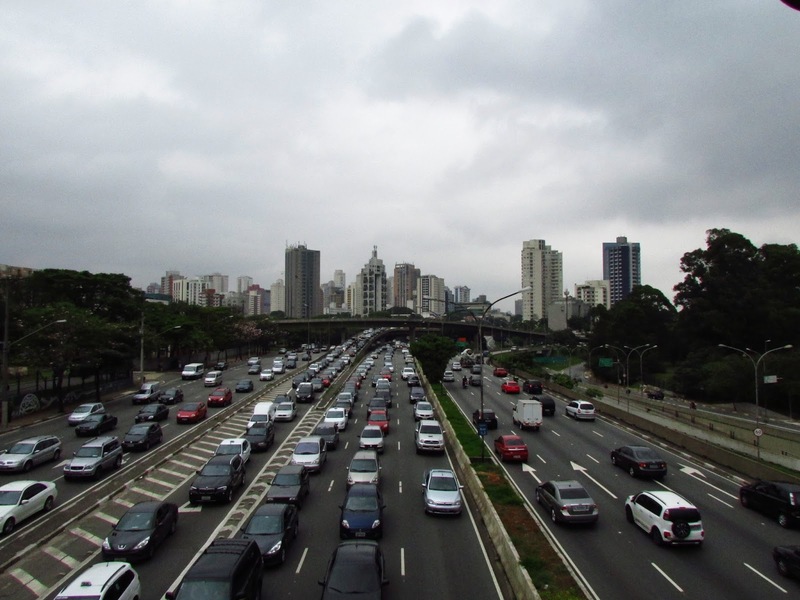 There were gigantic 6-lane highways running everywhere through this 11milion-people city on several levels and at any point of the day there was a traffic jam that was part of Sao Paulo’s standard scenery. Finding your way throughout the city seemed a tiring and difficult task. The one time I took the bus to the modern art museum that didn’t have a metro stop left me stumbling around bewildered in search of the busstop on the correct level of traffic, which felt like playing that game of the frog crossing the highway in real life. Since Luisa not only had to work all day, but was also undertaking the courageous effort of finishing her degree at the same time, I had the day for myself all week. Her roommate who’s work was more in the centre of things sacrificed his lunch breaks to show me around a bit, which also set noon again at my waking up-time (finally the relief to pursue my old sleeping habits again!). Since the true attraction of Sao Paulo is its culture and museums, I decided to cultivate myself. In that aspect the city felt a lot like a European city, although the high-rise buildings gave off a knock-off New York vibe as well. Almost all the museums were free, or ridiculously cheap, so I took in my portion of culture and visited the modern art museum, the art museum of Sao Paulo, the Pinacoteca and the CCBB , in which there was a very interesting exhibition of censured art during the Brazilian dictatorship from 67-85’. It made me realize once more how little I actually know of Latin-American history (I mostly blame our education, in which South-America was a blind spot, except for the colonial times). 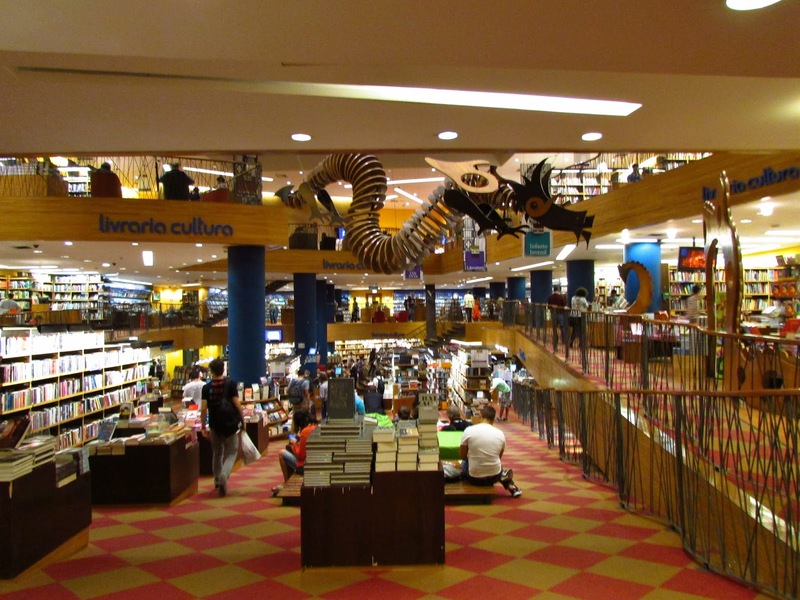 On one of the rainiest days in Sao Paulo, of which there were many, I fled to the most awesome bookshop I’ve seen. With several floors and couches on every floor to sit in for hours and read without being force to buy anything, I delved into some history books and stayed there all day while the rain came pouring down. Staying in Sao Paulo for 8 days gave me the chance to read up on some stuff, read my portion of the news again and check what is happening in the world. No longer surrounded by travelers but people with a normal daytime-working rhythm, I was reminded of the luxurious/spoiled position I am in to just be travelling around for months and hanging in cities without really doing anything useful except for educating myself by new places. I was happy to meet up with Nada again, a French girl I had met in Rio, who was kind of in the same position as I was. She was also visiting a friend in Sao Paulo that was working all day and didn’t have much to do all day either. We spent the entire afternoon in Liberdade, the Asian district of Sao Paulo, where we had sushi buffet and walked around crazy Japanese gimmick stores and supermarkets with the weirdest merchandise. Sao Paulo/Brazil apparently has the biggest Japanese population outside of Japan. That weekend I joined Luisa to her hometown, Ribeirao Preto, a 3-hour drive from Sao Paulo. It wasn’t exactly a town but a huge concrete city (from my perspective) which confused me a bit since I was expecting a ‘town’… we didn’t stay in Ribeirao that much though since we mostly hung out at Luisa’s grandma’s place where we had lunch, went for a swim in the pool and played some tennis in the neighbourhood’s tennis field. 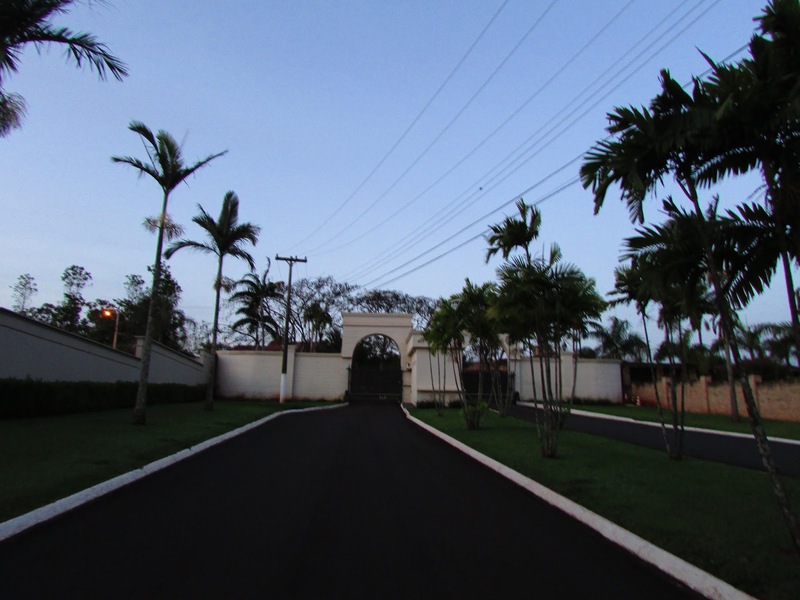 Luisa’s grandma and some of her aunts and uncles lived in a gated community close to the city. The kind of place with a huge fence around it, and then another wall around the individual neighbourhoods with several security guards and checks on who is allowed in and out. It was very difficult to explain why I was so shocked about this place since it reminded me a lot of being in the settlements in Israel and the close-mindedness of people to just literally shut them off from their surroundings. And since we weren’t in a conflict area, it was a very bewildering experience for me to have gates and security guards in living areas, but I did learn from the perspective from the people living there as well. Brazil is apparently still experienced as a dangerous place (although I’ve never once felt less safe than in Brussels or Rome) and it is simply cheaper to build a wall around your neighbourhood and have some security guards check who comes in and out than to secure your house privately. It comes with other advantages of having safe streets and almost no traffic for your playing children on the streets, living in green and calm areas, on top of being able to choose who lives in your community and having it easier to change something to the neighbourhood instead of having to count on the municipality. I just don’t think I could ever live there, even with all the comfort. It felt very artificial, like living with blinders in a makeshift world, with poor people pulling carts like horses right outside your wall. While it is easy to criticize of course, it also made me realize of my own position in Belgium and to an extent Europe. For us everyone is middle class. There are poor people but the inequality is less visible and less sensible. Since we strive so much towards equality in our society and pay so many taxes for it, it is frowned upon to show public displays of richness without showing that you are contributing in some way to battle inequality. Living with a big fence around your property is only for the richest. 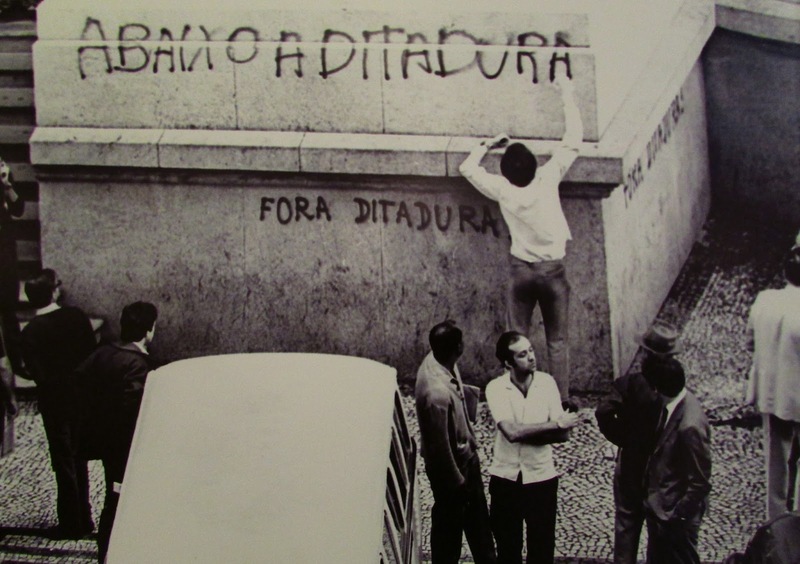 Since Brazil’s poverty is a structural problem and the people aren’t prepared to hand in a big part of their wealth to a corrupt government to battle such a problem, they’ll protect what is theirs and accept their fortunate position as a normal condition. Going to these gated communities was like a reversed favela tour for me, making me stand still on how big this gap of inequality in still present in Brazil, the most prosperous country of South-America. It made me very curious for the rest of the continent, with Peru next on the list. Did you find any golden maneki-neko (the cat with the wavy arm) in the Japanese stores?